As real-time payments for business gain traction in the market, challenges will arise, and tough decisions must be made. Boston, September 25, 2018 – Financial institutions in the U.S. are in various stages of implementing real-time business payments, and payment professionals are faced with questions about return on investment, use cases, and adoption. How do they answer these tough questions about a completely new payment workstream? This report discusses the real-time payments topics that are important to payment professionals, such as creating a business case, use cases, pricing models, and technology strategies. 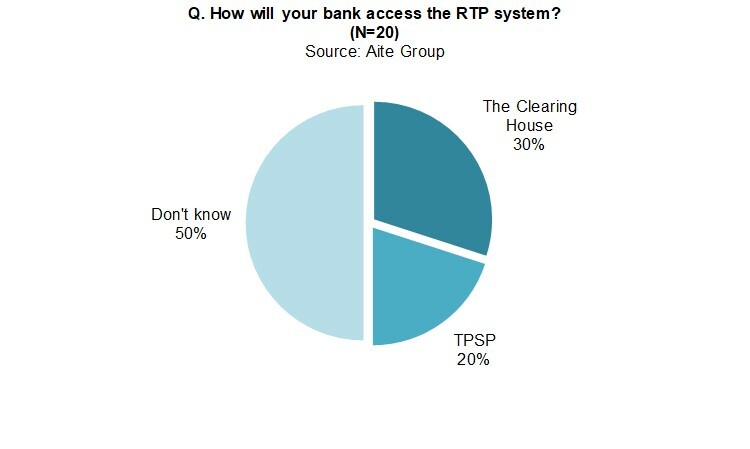 It is a summary of key discussion topics from the Real-Time Payments for Corporate Clients Roundtable event held in Atlanta in August 2018, facilitated by Aite Group and sponsored by The Clearing House. Fourteen U.S. institutions in various stages of implementing real-time payment capabilities and of various sizes were represented. This 19-page Impact Note contains three figures and two tables. Clients of Aite Group’s Wholesale Banking & Payments service can download this report, the corresponding charts, and the Executive Impact Deck. This report mentions ACI Worldwide, BNY Mellon, Cognizant, Corporate One Federal Credit Union, Deloitte, ECS Fin, Evertec, Finastra, FIS, Fiserv, IBM, Icon Solutions, Intellect Design Arena, Jack Henry, Payrailz, Push Payments, SWIFT, The Clearing House, and Volante Technologies.